It’s beginning to look a lot like Christmas! Here are five great picture books to celebrate the season. This collection of graceful poems provides readers with a Nativity story unlike any other — at times gently humorous, at times profound, but always inviting readers to appreciate the wonder of Christmas. This book is a perfect gift for the holiday season. 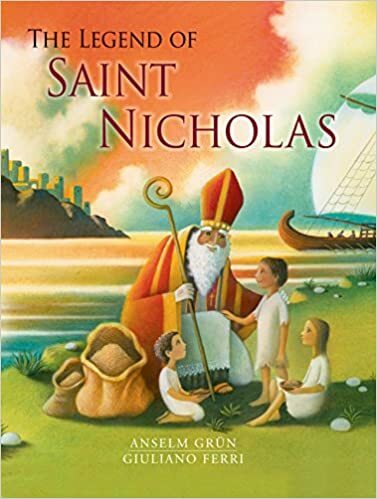 Many stories are told about Saint Nicholas — stories about his generosity and his miracles, stories about the concern he showed for those in poverty. This warm, inviting books tells many of these stories, both familiar and lesser-known. It recounts how he ended a famine by multiplying grain from a merchant ship and how he walked on water to rescue sailors from a terrible storm. And, of course, it tells the story of how Nicholas gave his inheritance to prevent a desperate man from selling his daughters into slavery. Anselm Grün’s simple, graceful text and Giuliano Ferri’s beautiful paintings combine to provide the perfect way to introduce young readers to the rich life of this beloved saint. On that first Christmas night, the earth bursts with praise at the Savior’s birth. Donkeys bray, sheep bleat, horses neigh, and shepherds come from nearby fields — but Mary simply wants to be alone with her sweet babe. Mary’s Song, with its melodic language and rich illustrations, is a lovely reminder of the meaning of Christmas and a welcome pause in the midst of a bustling world. Read more about this book on EerdWord. For centuries the Gospels have told the story of the birth of Christ to people young and old throughout the world. From the breathtaking appearance of the angel Gabriel to the arduous journey of the wise men, from the chilling decree of Herod to the return of Joseph, Mary, and Jesus to Nazareth, the Nativity story has gripped and enthralled the hearts of millions. This beloved story becomes even more vivid through the luminous, detailed paintings of artist Ruth Sanderson. The Nativity pairs select passages from Matthew and Luke (in the familiar King James Version) with Sanderson’s illustrations, displaying text and art on expansive two-page spreads. Also incorporating elaborate borders that recall medieval manuscripts, this beautiful volume is a book to be treasured and shared with family and friends. The wind groaned and swirled that night and likely it seemed to tear the thatch from the roof. But when the baby gave her first cry, the wind shushed to a whisper and the stars began to sing. 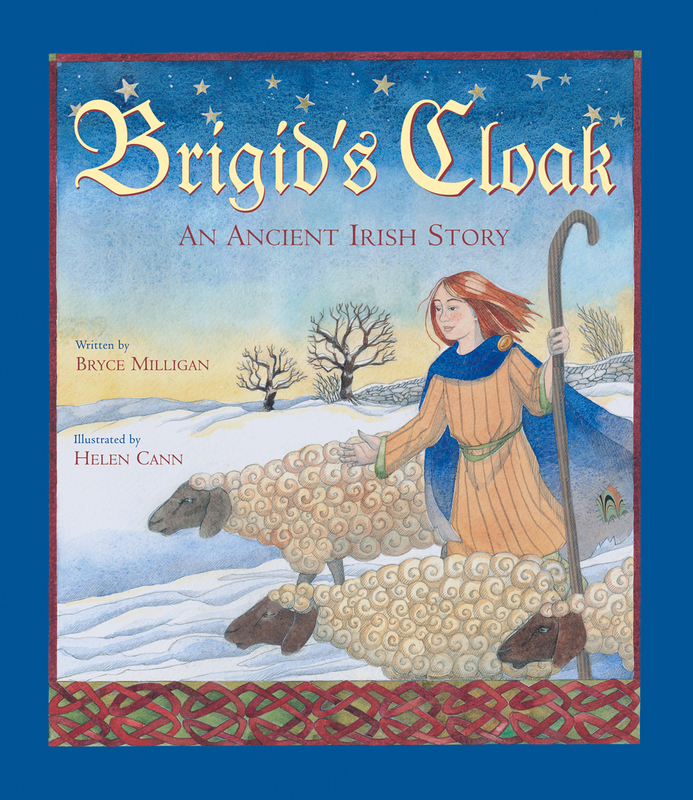 Brigid’s Cloak retells an ancient tale about one of Ireland’s most beloved saints. On the day she is born Brigid receives a brilliant blue cloak from a mysterious Druid. Years later, the young girl still wears the now tattered but beloved cloak while she tends her sheep. Is it her imagination that suddenly takes her to an unfamiliar land? Or is it something far greater that leads Brigid to a crowded inn in a town called Bethlehem? Bryce Milligan’s eloquently told story about Brigid is a moving tale of compassion and wonder. Beautifully illustrated by Helen Cann, Brigid’s Cloak sparkles with the timelessness of legend and the transcending power of faith.